Sciatica is one of the most common spinal conditions and describes the pain that runs down the sciatic nerve. While sciatica typically only affects one side of the body, it is often reported as one of the most painful forms of back pain due, mainly due to the overall size of the nerve. The sciatic nerve (scientifically known as the ischiadic nerve) is the longest and largest single nerve in the human body; about the diameter of a finger. It begins in the lower back with contributions from the L4-S3 nerve roots. 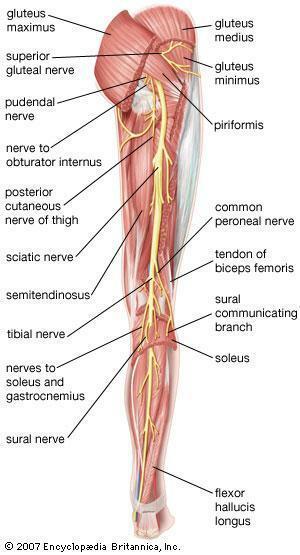 The nerves branch out from the spine and pass through the sciatic foramen just below the piriformis muscle (the muscle responsible for rotating the thigh back and forth), they then travel deep through the buttocks, down the posterior of the leg until it splits into smaller nerves behind the knee which go all the way to the feet. The sciatic nerve is an important part of the body’s nervous system. Not only does it provide sensation to the skin all the way throughout the lower leg, it also serves a critical role in connecting the spinal cord to the muscles in the leg and the foot. The term sciatica is typically used to describe pain that is felt throughout the distribution of the sciatic nerve. This being the case, it’s more accurate to say that sciatica is a symptom of a spinal disorder, not necessarily the spinal disorder itself. More often than not, sciatic nerve pain is caused by nerve compression within the spine. The nerve roots that exit the spine and form the sciatic nerve are incredibly sensitive and any spine material that presses up against these nerves, or causes inflammation, can easily cause pain. 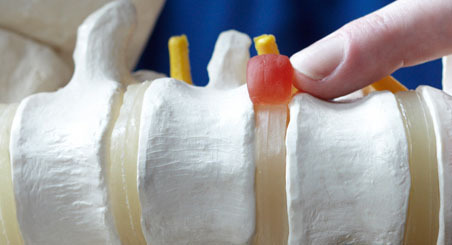 Herniated discs are the most common cause of sciatic nerve pain in the lumbar spine. When a disc herniates, the jelly-like material inside can press out through the annulus (the outer shell). Depending on the location of the herniated disc, the material can put pressure on the nerve roots and cause sciatic nerve pain. Degenerative disc disease is a term used to describe natural aging in the spine and is known to cause disc weakness that can lead to herniation. 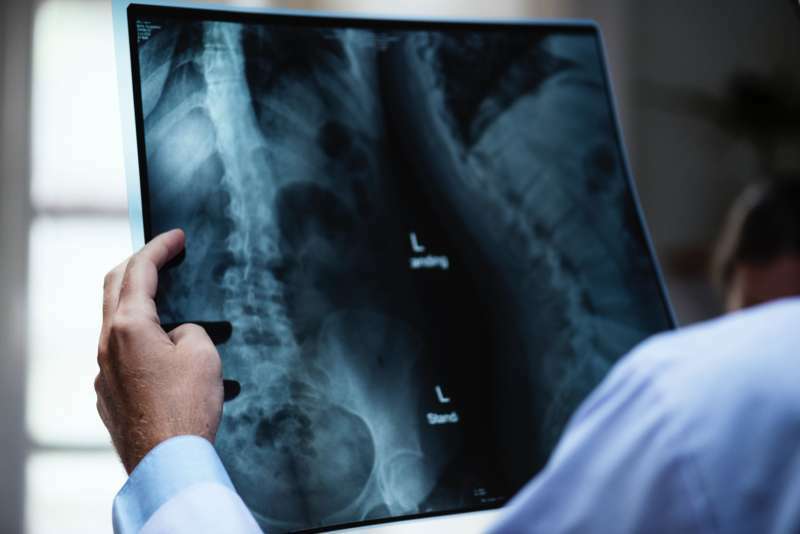 Additionally, degenerative disc disease can cause disc collapse which can narrow the gap between the vertebrae and the spinal column and put pressure on the nerve roots. Bone spurs typically form as a preventative measure when there is excess movement within the spine. While these spurs can stop disc movement, they can also put pressure on the nerve roots, causing sciatic pain. Spinal stenosis is a narrowing of the canal that houses our spinal cord/nerves. The narrowing is usually a result of the build up of bone spurs and thickened ligaments which occur as a response to degenerative disc disease. The sciatic nerve may be impinged as a result of this narrowing. Spinal tumors can put pressure on the sciatic nerve, but this condition is relatively rare. It’s important to note that not all pain in the legs and buttocks can be associated with sciatica. There are a several other structures within the spine that can cause similar types of pain including inflammation in the facet joints and disc tears. The tell-tale sign of sciatica is often pain, numbness or tingling that originates in the lower back and travels through the buttocks and all the way down the leg. 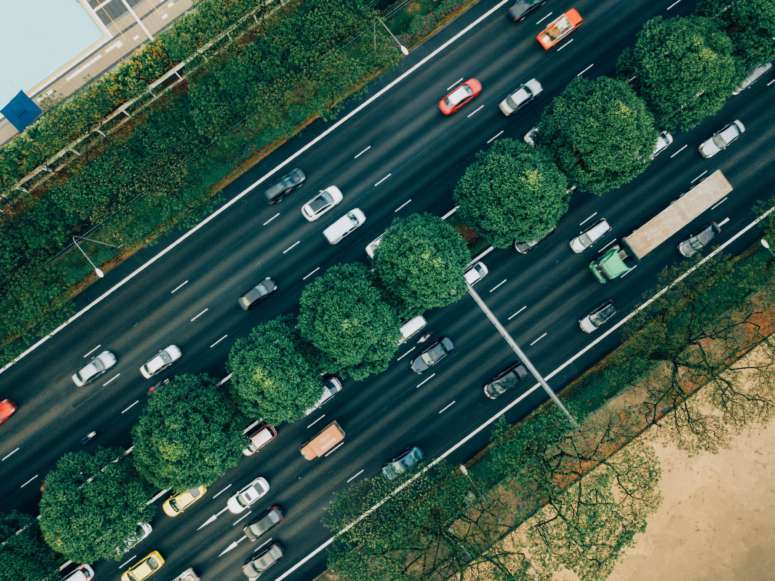 While it's technically possible for you to feel pain anywhere on the sciatic nerve pathway, patients typically find that it originates in the lower portion of their spine and works its way down their leg, often hitting the back of their thigh and calf. Additionally, symptoms are almost always isolated to one side of the body. Tingling and numbness anywhere in the leg, but typically running down from the lower back through the calf. WHEN SHOULD YOU SEE A DOCTOR FOR SCIATIC NERVE PAIN? While mild cases of sciatica can be painful, they often don’t require surgery to correct. Most of the time the pain will go away on its own within a couple of days. However, if you’re noticing that the pain is not going away after a week or growing progressively worse, you should set up an appointment with your spine care specialist. If you end up visiting a doctor for your sciatic nerve pain, you will likely receive a physical and neurologic examination in conjunction with a review of your medical history and, possibly an x ray, MRI or CT-scan if applicable. During the physical examination, the physician will observe the patient’s range of motion along with their reflexes and muscle strength. These tests are used primarily to determine the source of the pain and the extent of the condition. Often the pain associated with sciatica can be relieved through self-care measures like stretching, rest, or anti-inflammatory medication like ibuprofen. Medication. Often times sciatica pain can be relieved simply by reducing the inflammation affected the nerve roots in the spine or relaxing any muscles or tendons that are tight and putting unnecessary pressure on the spinal column. Prescribed medications can often help accomplish this goal. Steroid injections. If you are experiencing chronic or consistent inflammation that isn't being helped by medication, your spine specialist may recommend that you have a corticosteroid injection. By choosing to inject this steroid into the area surrounding the affected nerve, you are able to ensure that the medication is reaching the site of the inflammation and effectively able to reduce the amount. This injection often also includes a nerve blocking agent like lidocaine. The nerve blocking agent numbs the area of pain and provides immediate but short acting relief while the steroid reduces the inflammation to provide more long lasting relief. Surgery. In rare cases, your spinal condition might be serious enough to warrant surgery. Typically, this option is recommended only for patients who are experiencing weakness in their legs, loss of bowel control, and/or have pain that is growing consistently worse and isn’t responding to other therapies. 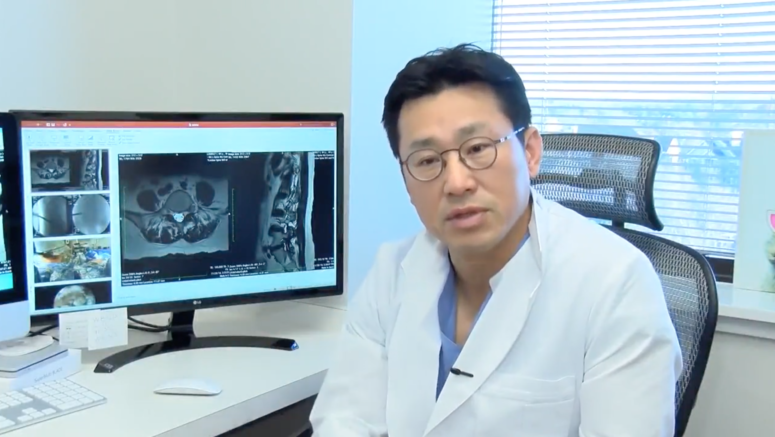 In minimally invasive spine surgery, the spine specialist can remove the bone spur or herniated disc that is putting pressure on the nerve roots via an incision that is 1 inch or less. This is an outpatient procedure that can be performed in about 1 hour.